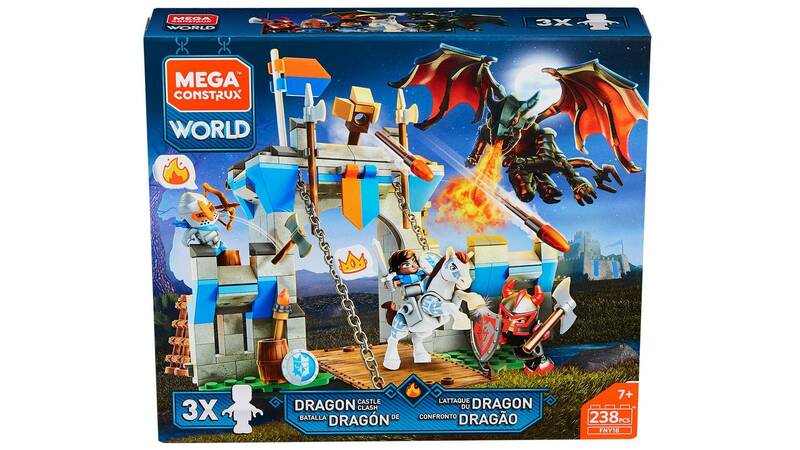 Protect the blue castle throne from a dragon takeover! 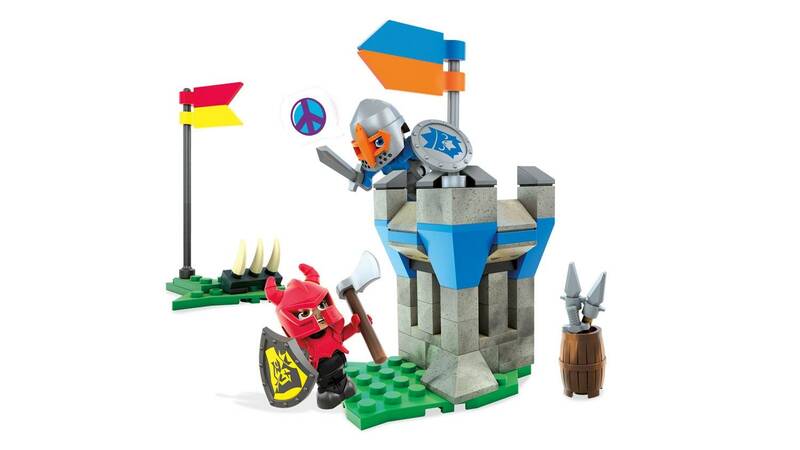 Defend the blue army’s honor when you build the blue army castle and prepare for a dragon attack! 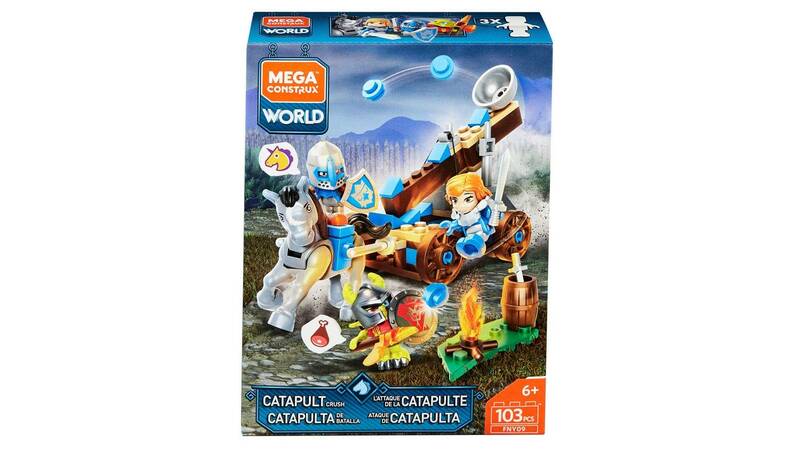 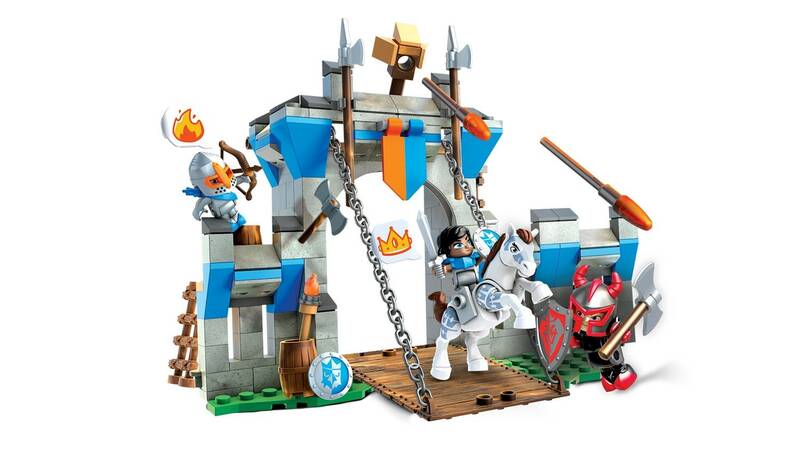 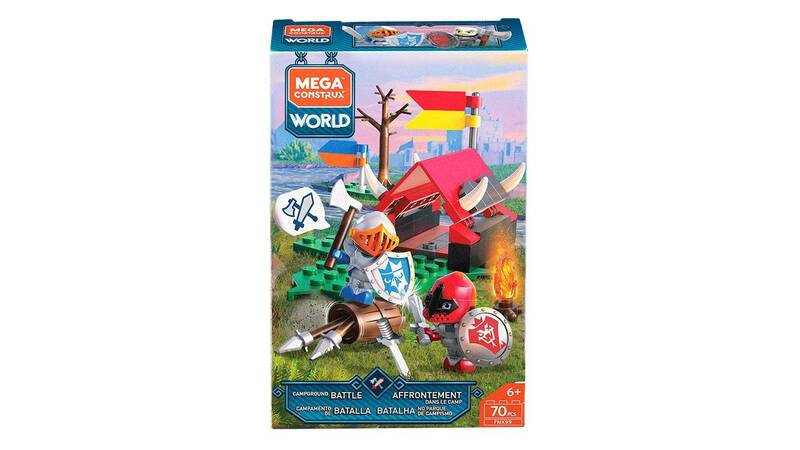 Lower the drawbridge and sit 1 blue knightess on her horse, while the other defends with the mighty castle-top launcher! 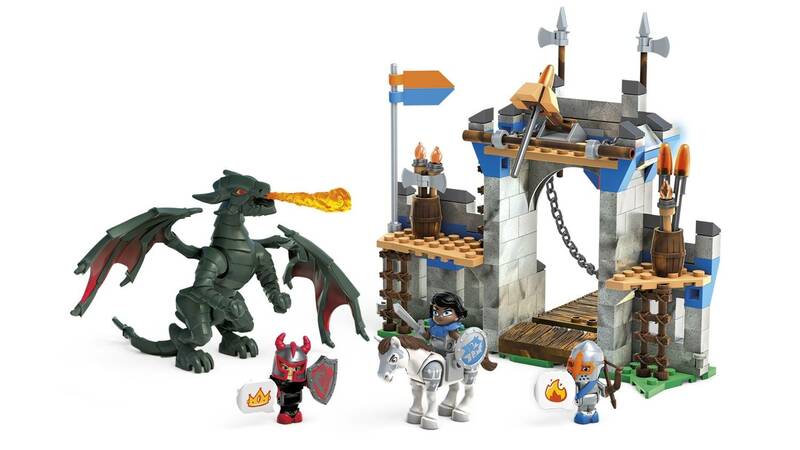 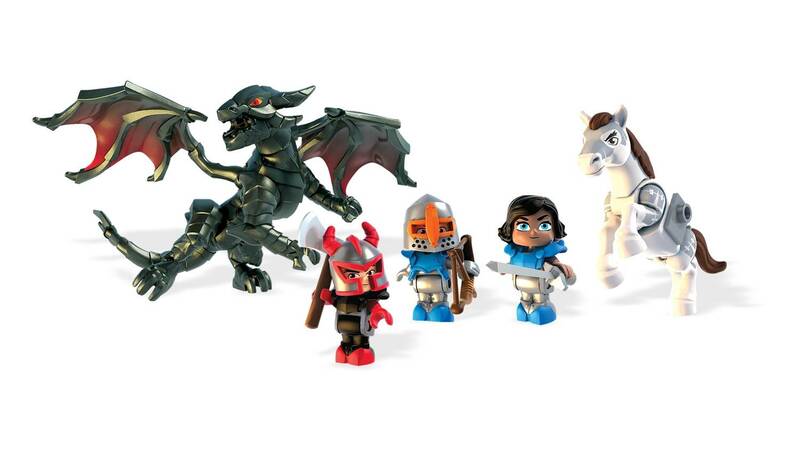 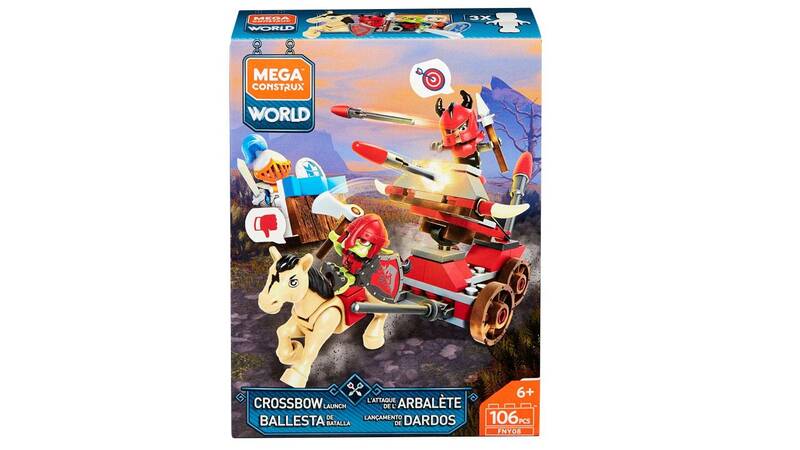 Then, swoop the red knight in on his fiery dragon and help him take aim with his crossbow! 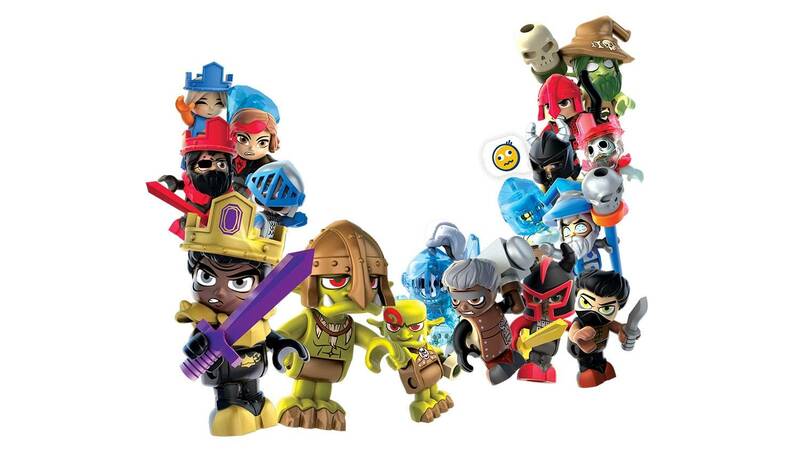 Use the emoji speech bubbles to declare the winner of the battle for the crown!